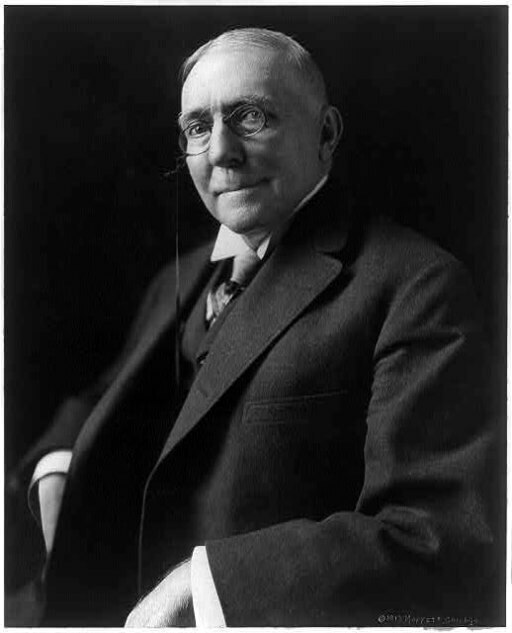 James Whitcomb Riley (1849 - 1916) was an American poet and humorist, known as "The Hoosier Poet" since he was born in Indiana, and "The Children's Poet" for his nostalgic dialects which appeal to children of all ages. Riley wrote over one thousand poems, the majority in dialect form. His pen names included: Benjamin P. Johnson of Boone, Jay Whit, and Uncle Sidney. Riley encouraged the young African-American author, Paul Laurence Dunbar, a fellow "hoosier" from Dayton, whom he praised for his natural dialect verse and prose. Riley's poems got the attention of the original "Children's Poet" Henry Wadsworth Longfellow, who endorsed Riley's work in the 1870s, boosting his prominence publishing work in the 1880s through the early 1900s. His most famous works include, Little Orphant Annie and The Raggedy Man , inspiring the characters that would be adapted on screen and stage for generations to come: "Little Orphan Annie" and "Raggedy Anne."